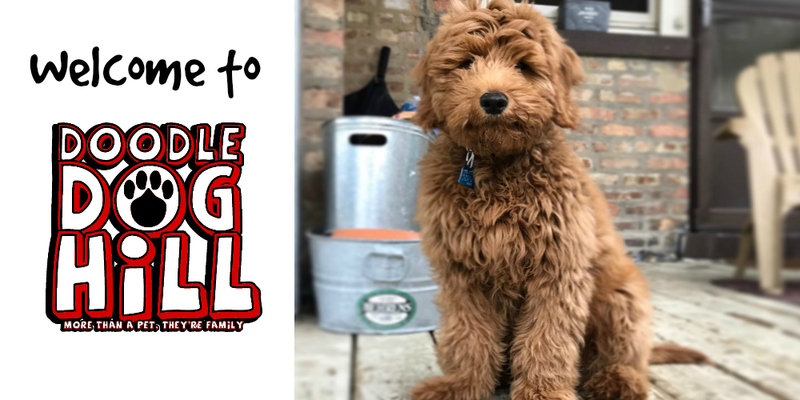 Welcome to Doodle Dog Hill, established in 2010 and located in beautiful Northern, Wisconsin! We raise Mini Goldendoodles, Petite Mini Goldendoodles, Mini Bernedoodles, and Mini Sheepadoodles. Donna Groothousen and her tribe of five children whom she adopted into her chosen family are the proud owners and operators of Doodle Dog Hill llc. Our crazy home includes several wonderful golden retrievers, a fun-loving Bernese Mountain Dog, a rambunctious Old English Sheepdog, and three adorable baby daddy miniature poodles. You can meet all of them on our Doodle Parents pages. Our little hobby farm would not be complete without our cats, Pumpkin, and Pepper. Doodle Dog Hill is a great place to raise a family and puppies! We invite you to look around our website to meet our Goldendoodle parents, see our available puppies and read about what others are saying about the puppies they have adopted into their homes. We look forward to having you visit us soon!